Half-sister to CAT AND THE MOON (5 wins, R565,525, incl Final Fling S G3; Breeders Guineas L, Winter Oaks L, etc). Dam is half-sister to PAY THE PIPER(8 wins, R484,805; dam of Dancinginthedesert – 6 wins, etc) and LUCKY FIND(8 wins, in UAE, SA and Britain, R398,240 and Dhs1,439,920, incl Al Maktoum Challenge R2 G3; 2nd Daily News 2200 G1; 3rd Al Maktoum Challenge R3 G2, etc). Own-sister to KANGAROO JACK (8 wins, R1,082,450, incl Post Merchants G2, Joburg Spring Challenge G2, Spring Spree S G3, etc). 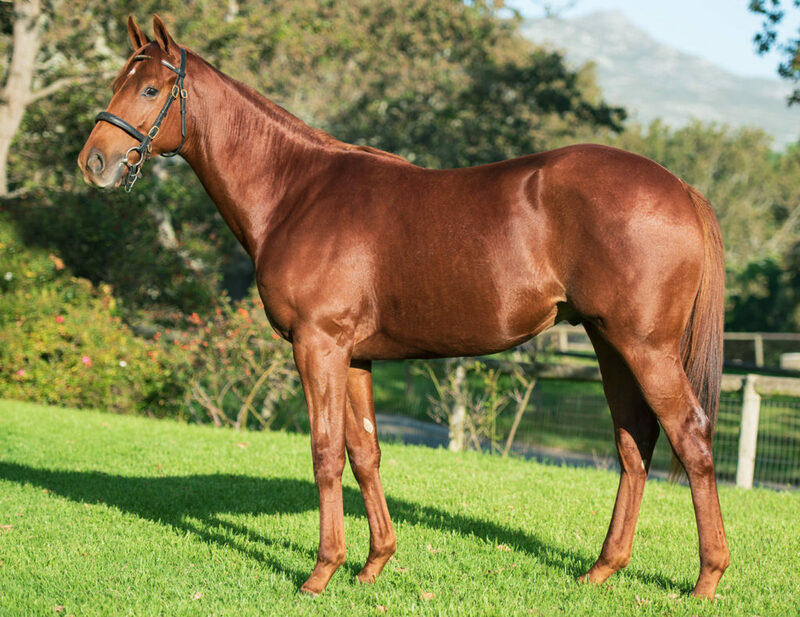 Dam, RAINBOW FLAG, won 5 races incl The Scarlet Lady H L; 2nd Garden Province S G1, Gold Bracelet G2, Yellowwood H G3; 3rd Jacaranda H G3, etc. Family of DOLLAR FORTUNE (ARCSA Champion Older Female in 1995), CHASING GOLD, GILDED MINARET, ACE PILOT, etc. 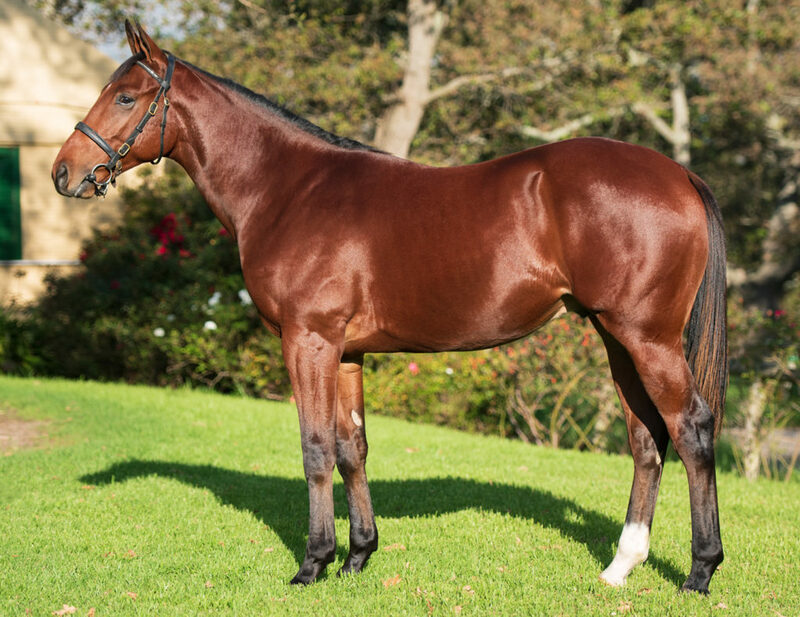 Dam is half-sister to Zambezi River (6 wins, R1,590,625; 3rd Cape Merchants G2). Grandam is half-sister to Menokee (2nd Autumn S G3, Jane Seymour S L, from 4 starts). 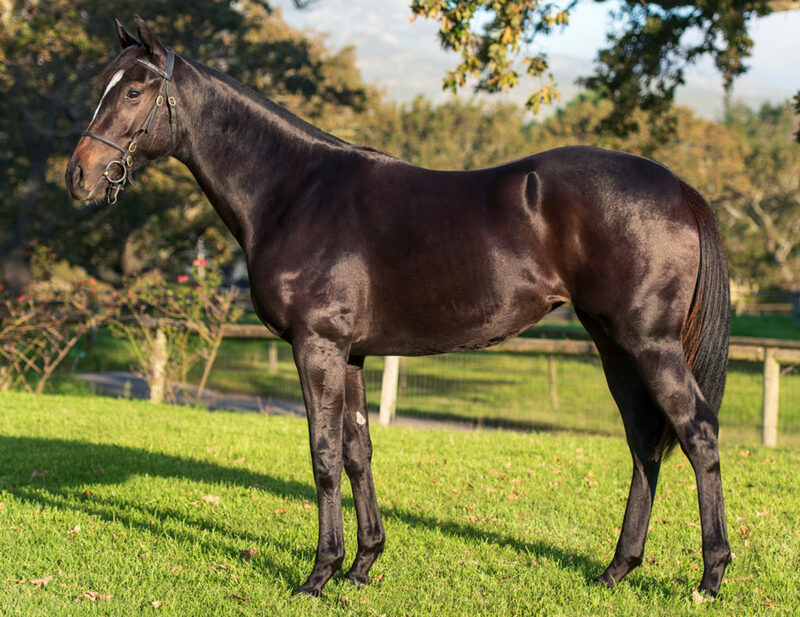 Top International family of SNOW BRIDE (5 wins, Gold Seal Oaks S G1, Princess Royal S G3, Musidora S G3, etc), LAMMTARRA (Champion 3YO in Europe in 1995), KAMMTARRA (Top Rated Older Miler in UAE), SAYTARRA, AESOP’S FABLES, POLARISATION, JARRAAR, IBN AL HAITHAM, POWDER SNOW, etc. 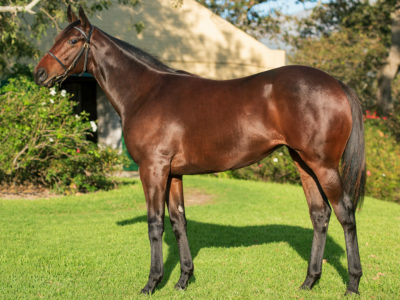 Half-sister to ASTRO NEWS (9 wins, R1,220,925, incl Graham Beck S G3, Cup TrialG3, Michael Roberts H L; 2nd Peninsula H G2, Victory Moon S G2; 3rd SA NurseryG2, Storm Bird S L, Memorial Mil, L,etc), DARLING MOON (Lady’s Slipper S L; 2nd Irridescence S L) and Prince Of Orange (4 wins, R478,300; 2nd Secretariat S L, etc). 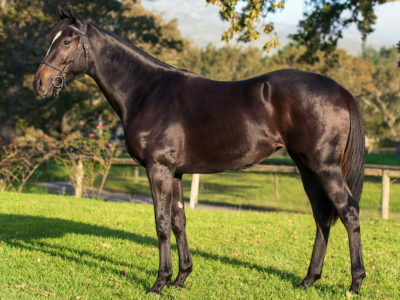 Dam won 7 races; half-sister to Tibetan Dawn (dam of DAWN HERO, LHASAand GLEN MONARCH), etc. 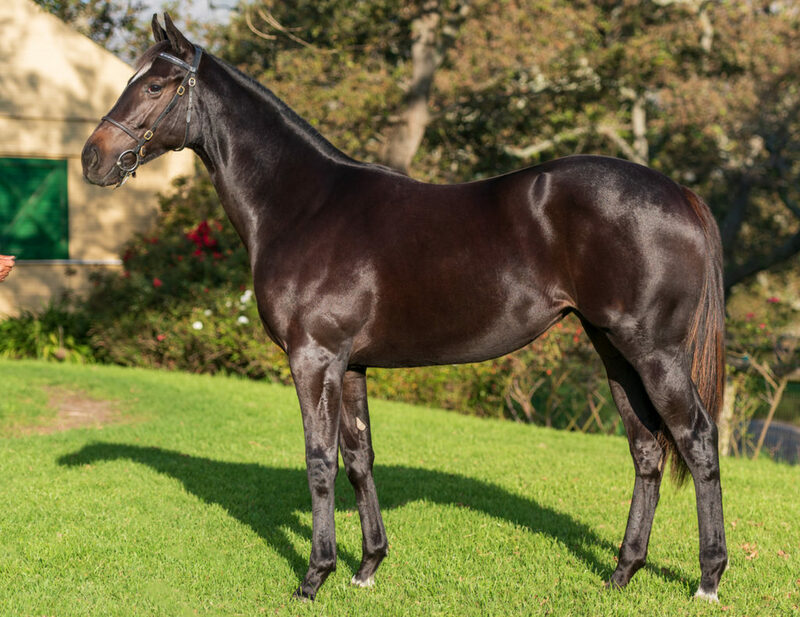 Dam is half-sister to THE APACHE (Equus Champion 3YO Colt 2011, 7 wins, in SA and UAE, R1,905,000 and $186,000 and Dhs4,330,600, incl Champions Cup G1, Daily News 2000 G1, Dingaans G2, Al Rashidiya S G2; 2nd Jebel Hatta G1, Dubai Duty Free G1, Arlington Million S G1, London News S G3; 3rd Victory Moon S G2; sire). Family of BOLD WEST, SUGAR MAGNOLIA, LETA, AMBERLAD, TROPICAL GEM,STEIGER, BLUE GRAVEL, etc. 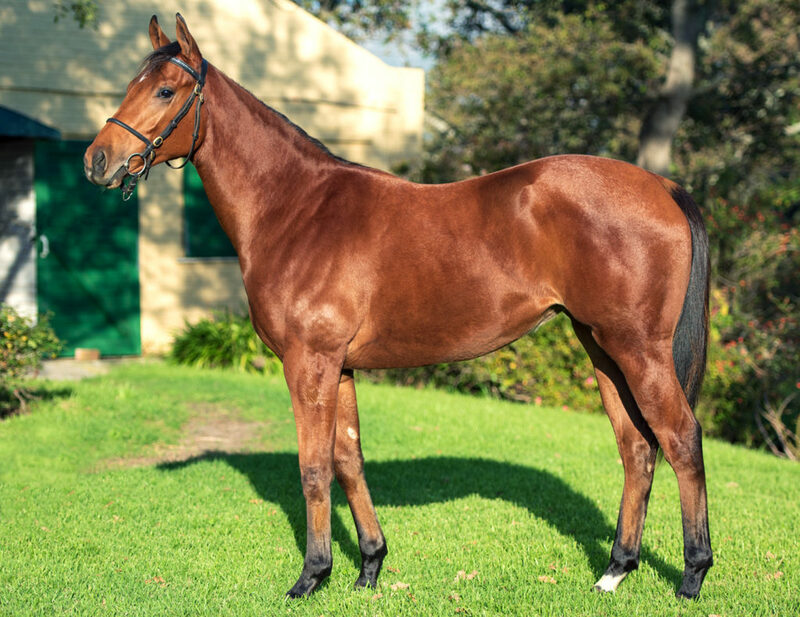 Half-sister to Dancinginthedesert (6 wins, R403,325; 3rd Ibhayi S L). 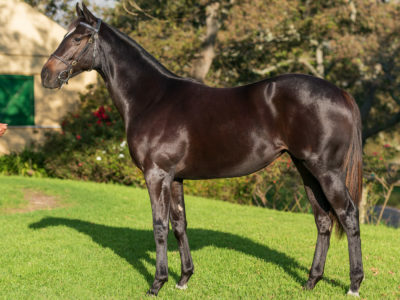 Dam, PAY THE PIPER, won 8 races, R484,805, incl Lady’s Bracelet L, East Cape Paddock S L, (twice); 2nd Breeders Guineas L, Jockey Club S L, Champion Juvenile Cup L, Lady’s Slipper S L, Lady’s Bracelet (F&M) L; 3rd East Cape Guineas L, East Cape Nursery L; half-sister to LUCKY FIND, 8 wins; 2nd Daily News 2200 G1; 3rd Al Maktoum Challenge R3 G2, etc. Family of SHOOT THE BOOZE, LITTLE STRIKE, LEOPARD STRIKE, etc. 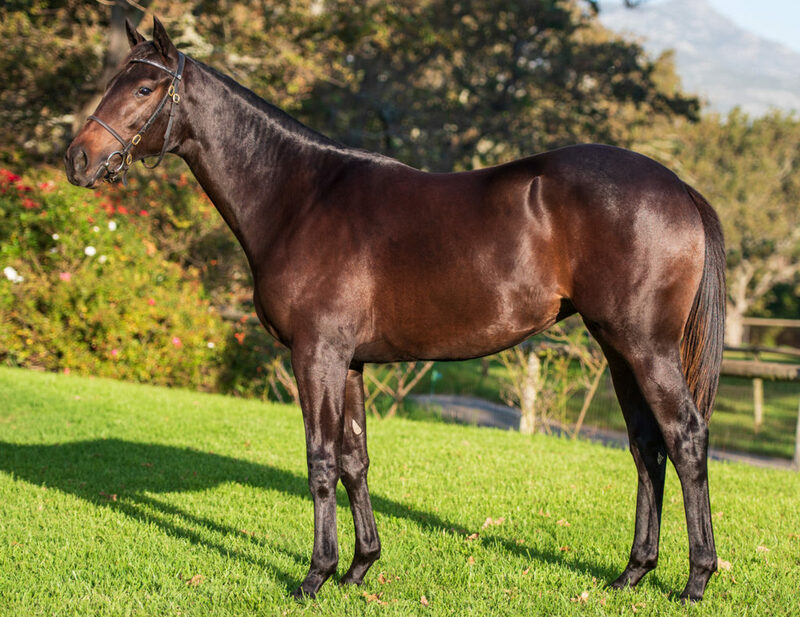 Colt by Elusive Fort – Tiawana by Saumarez Half-brother to Carla The Rebel (4 wins; 2nd Sable Flyers L). 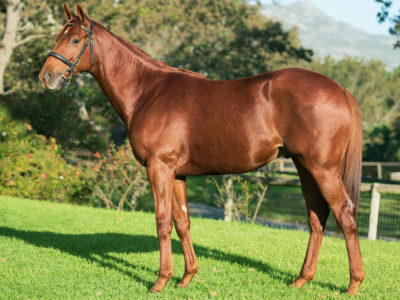 Dam is own-sister toOMEGA CODE (8 wins, R367,015, incl Chairman’s Cup L, Port Elizabeth Gold Cup;3rd Chairman’s Cup L). 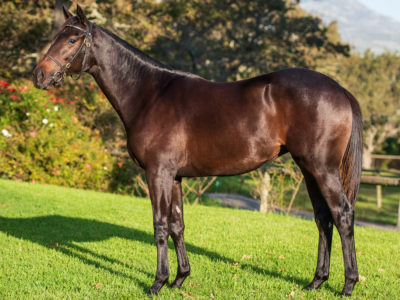 Top New Zealand family of TAATLETAIL (NZ Bloodstock Filly Of The Year in 2004), LORD REIMS (Top Of The 1987-88 Australasian 4YO Classification), BELLOTA, ROCKET RACER, STARZAAN, LOTTERIA, MISSMARGARET, etc.